The world’s largest erosion crater boasts spectacular sunsets and once-in-a-lifetime hikes. 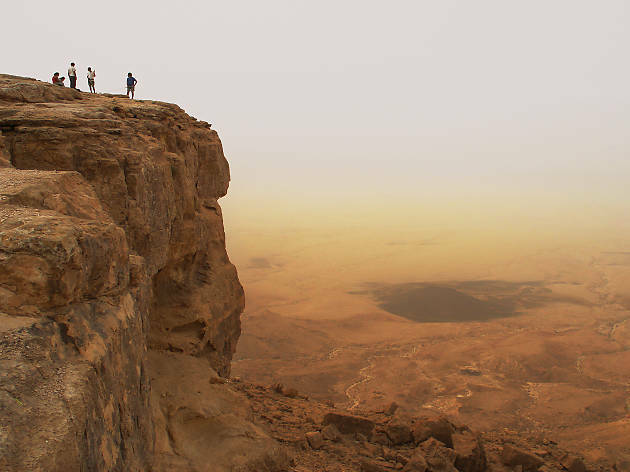 The Ramon Crater (“Makhtesh Ramon”) in the Negev desert is the world’s largest erosion crater. The crater’s ancient history dates back 220 million years to when an ocean once filled the massive hole, which measures 500 meters deep, 40 km long and between 2 and 10 km wide. 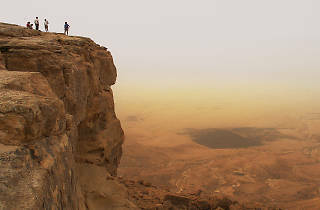 With a network of hikes ranging from easy loops to advanced mountain scales with extreme passageways (“Shen Ramon”), this worldwide landmark is the perfect place for thrill seekers to get their adrenaline fix. Be sure to catch the unbeatable sunset at the camel lookout or camp out under the stars.